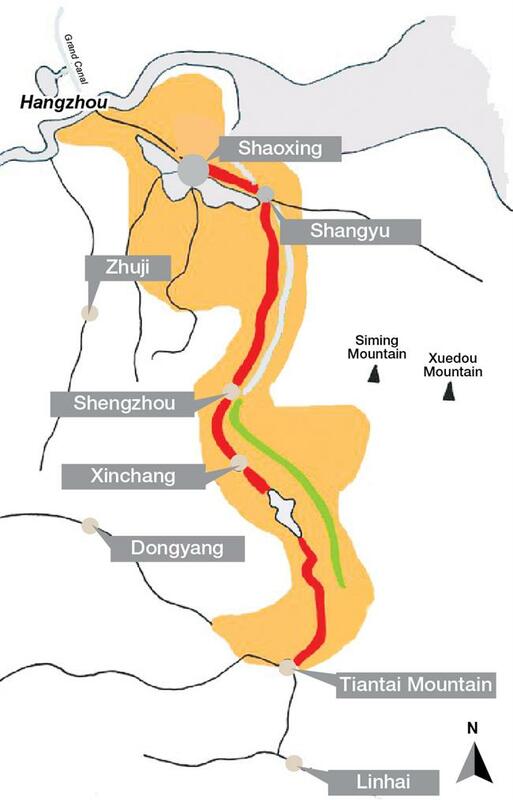 The ancient road starts from Xixing in Hangzhou, following the course of East Zhejiang Canal and Cao'e River, passing through Shengzhou and Xinchang and ends in Tiantai County. The Mount Skyland he referred to, or Tianmu Mountain, is a place that was frequently visited by many Tang Dynasty poets. The literati of that time traveled extensively throughout the country, especially when they faced setbacks in their pursuits of a political career. 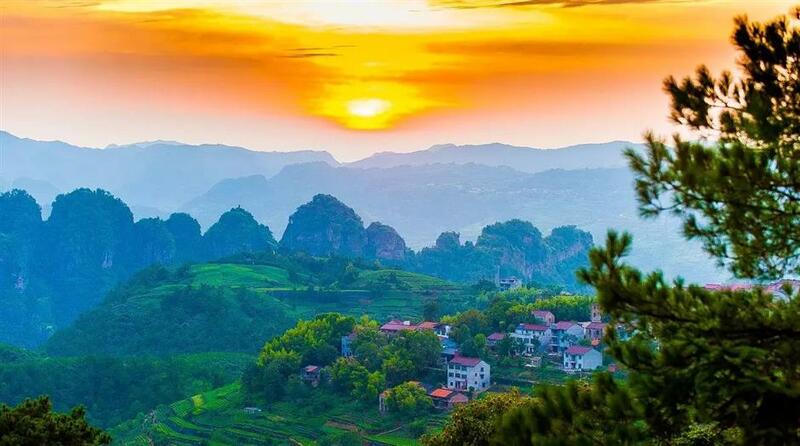 The mountains and rivers in east Zhejiang won their hearts and it is estimated that over 400 poets including legendary Li (AD 701-762), Du Fu (AD 712-770) and Bai Juyi (AD 772-846) have written 1,500 poems about the landscapes of the area. 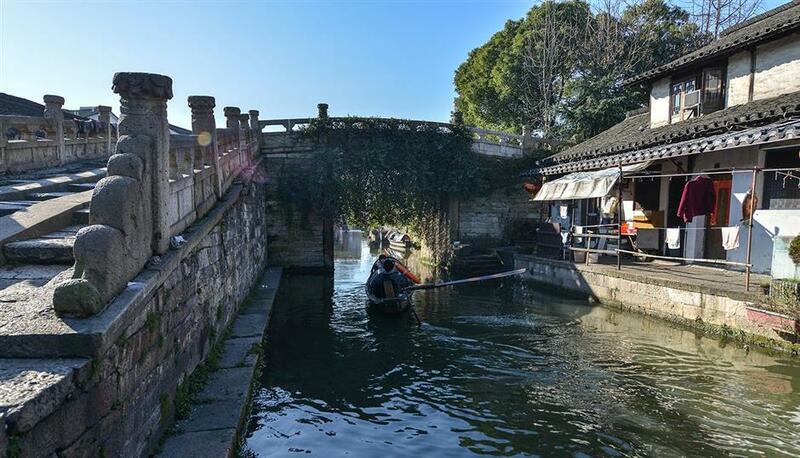 The ancient road starts in Xixing and follows the East Zhejiang Canal and Cao’e River in Shaoxing City, passing through Shengzhou, the birthplace of Yueju opera, and Xinchang County. It ends in Tiantai County where the Buddhist Tiantai sect originated. Shanghai Daily checked out some of the most important cultural tourist spots along the road. It is fair to say that Shaoxing was the cultural and economic center of Zhejiang well before the rise of Hangzhou. King Goujian, who ruled the area from 496-465 BC, made it his capital before he conquered the neighboring Kingdom of Wu. During the Southern Song Dynasty (1127-1279), the city was a sub-center capital after Hangzhou. The judicial and educational bodies of then government were located here. Kuaiji Mountain in the southern part of the city is linked to Da Yu,the legendary ruler of China in ancient times, and have been considered as an emblem of the city by locals. Historically the city was called Kuaiji from 300 BC to AD 500. Shaoxing is also a city of bridges. Many Tang and Song dynasties’ bridges are still in existence connecting traditional residential houses along the inner city rivers. Relaxing in a black-awning boat and listening to the sounds of the sculling oar is a unique experience, visitors must give it a go. Located in southwest outskirts of the city, Jianhu Lake is the result of a hydraulic engineering project built in 200 BC. It used to extend to an area of 240 square kilometers, but the size gradually shrank because of siltation and general neglect. In a poem written by Du, he mentioned that the skin of the Shaoxing girls was snow-white while the water of Jianhu Lake was still cold in May. According to historical records, Xinchang and Shengzhou counties were called Yanxian County in the Tang Dynasty and it was a basin back then. Yanxi River, a tributary of Qiantang River, runs through the area while the Tianmu Mountain is at the southern rim of the basin. 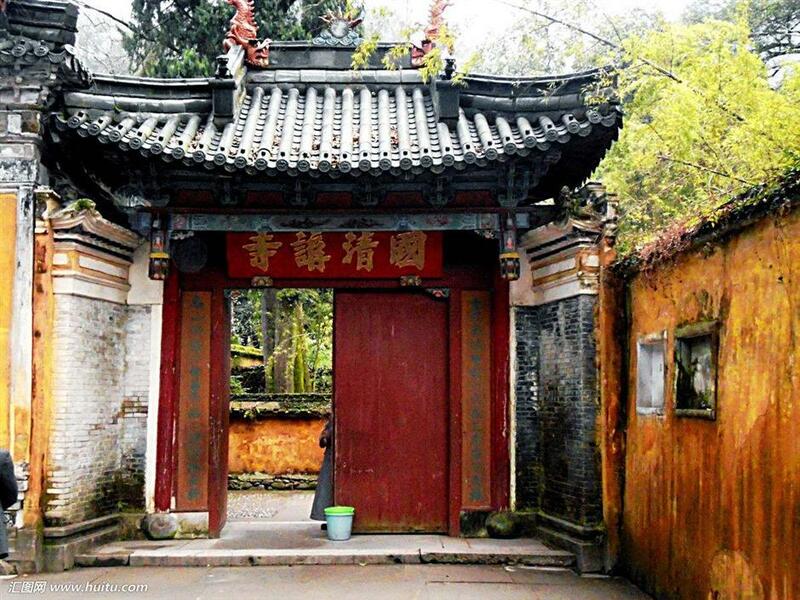 They are at the heart of the “Tang Poems Road of East Zhejiang.” It was estimated that 340 poets visited the place. Tianmu Mountain was once praised by Bai Juyi as the essence of all landscapes in southeast China. You can still find an ancient trekking trail first developed by Southern Dynasty (AD 420-589) poet Xie Lingyun, which was later visited by many of his admirers, including Li. The trail starts from the Yingxian Bridge in Taoyuan Village and ends in Guanlingtou Peak. It takes around five and a half hours to finish. Tianmu Temple has been transformed into a factory producing capsules. But there are still unknown ancient stone bridges, ancestral halls and temples to be found along the trail. Yanxi River, in the Tang poems, originated from Tiantai Mountain in the south, ran through the basin in Yanxian County, moved up north and became Cao’e River in present-day Shangyu County. During the Tang Dynasty, poets traveled along the river to reach the mountains they wanted to visit. Apart from Tianmu, Wozhou Mountain was also one of their favorites. But it is now better known as the Wozhou Lake since it was changed to a reservoir in the 1970s. The mist-shrouded lake in springtime and the colorful forests in autumn are all views to behold. In the Lonely Planet tourist guide, Tiantai County has been described as one of the “must-visit” places in a lifetime. It is noted for its mountains and waterfalls and also its close relations with Buddhism and Taoism. In AD 575, a monk, Zhiyi, came to the area and founded several rites at its Huading Peak. He established 36 temples in his lifetime and was the founder of the Tiantai sect, which later influenced Buddhism in Japan and Korea. The Guoqing Temple was built in AD 598 in memory of Zhiyi and renovated during the reign of the Emperor Yongzheng (1678-1735) in the 18th century. It is also a rare place to see the plum trees planted in the Sui Dynasty (AD 581-618), the stone pagoda in the Sui Dynasty and the bronze statue of Shakyamuni Buddha from the Ming Dynasty (1368-1644). In 1972 when former Japanese Prime Minister Kakuei Tanaka paid an ice-breaking visit to China, he made a personal request to worship at the Guoqing Temple, since his mother was a pious follower of the Tiantai sect. But back then the temple had not been recovered from years of disrepair. Zhou Enlai, then prime minister of China, ordered renovation of the temple almost immediately. A part of the historical Buddhist statues and ritual objects in the Palace Museum and Yonghe Temple had been moved to Tiantai from Beijing. The Shiliang Waterfall is also an ideal place for trekkers and rock climbers. To walk in the most beautiful valleys of Tiantai and to see the yellow walls of the temple hidden in luxuriantly green mountains is an unforgettable experience.